Disney and Marvel might have the next several years already planned out, but after the second Avengers: Infinity War, they’re going to need to fill in some gaps. A fan film based on the adventures of Ms. Marvel makes a strong case for who should get a solo debut next. 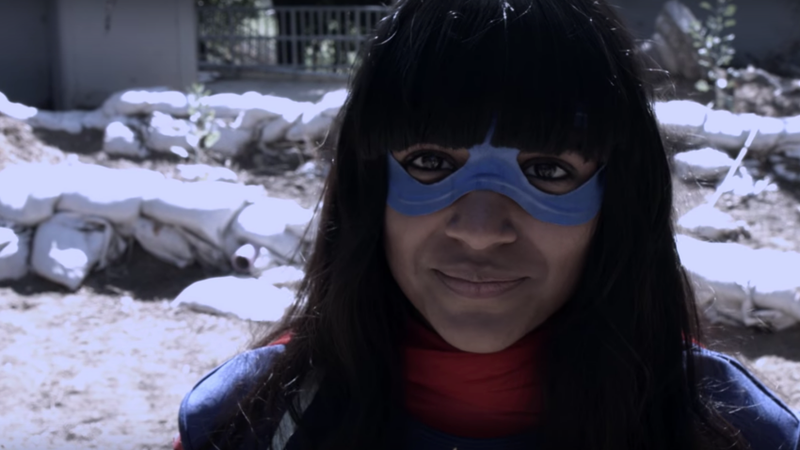 YouTuber Anita Kalathara and Lansi Aponte have released a short fan film about Kamala Khan, the Pakistani-American teen who is Marvel’s first Muslim superhero. The five-minute film isn’t of the highest quality, but it does a great job at showing Kamala’s relationship with her family, powers, and faith. The dinner scene with Kamala and her family is especially well-done. I love how it portrays her dad’s not-so-subtle jab at Aamir to get a damn job. Brie Larson will be playing Carol Danvers in 2019's Captain Marvel, Marvel Cinematic Universe’s first female-led superhero film. Since Ms. Marvel was originally conceived as a female counterpart to Captain Marvel, who was traditionally a male character, it seems like a smart idea to introduce Kamala in Larson’s upcoming debut as the Captain. Could definitely set the stage for her own film, which would be simply super.